Black Square Cluster Embellishment: Give your handmade design a look of livid elegance with this square, black diamond cluster. 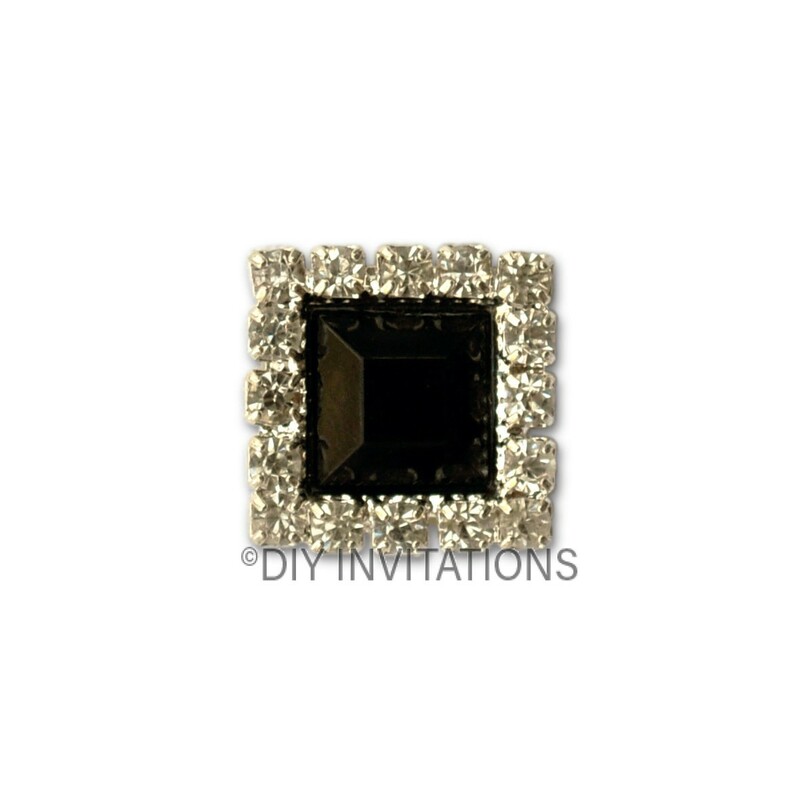 The stunning black centre stone is boarded with 16 crystal clear diamantes and is supplied to you pre-glued for your convenience. This cluster measures 15mm x 15mm and sits approx. 4mm high.